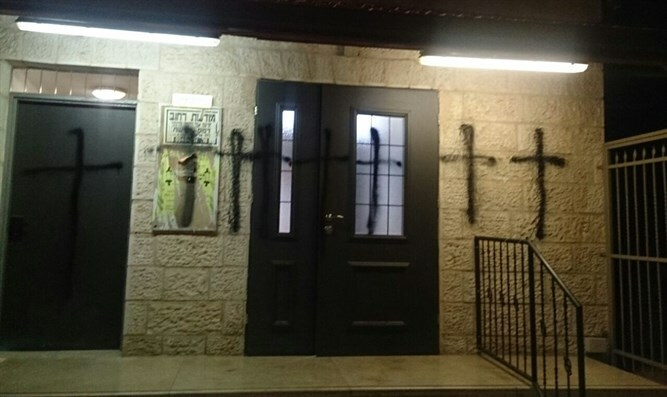 Synagogue in heart of Jerusalem vandalized overnight with graffiti of black crosses. A synagogue in the heart of Jerusalem was vandalized overnight, with graffiti of large black crosses spray painted across the entrance. The synagogue, which primarily serves Iranian Jews, is located on Yossi Ben-Yoezer Street in the Gonen (Old Katamon) neighborhood of the capital. Jerusalem police have opened an investigation into the incident.